5 years in an organisation is noteworthy. In fact, it’s noteworthy enough to make it very memorable. And this is what Amazon chose to do recently, with a little help from us. 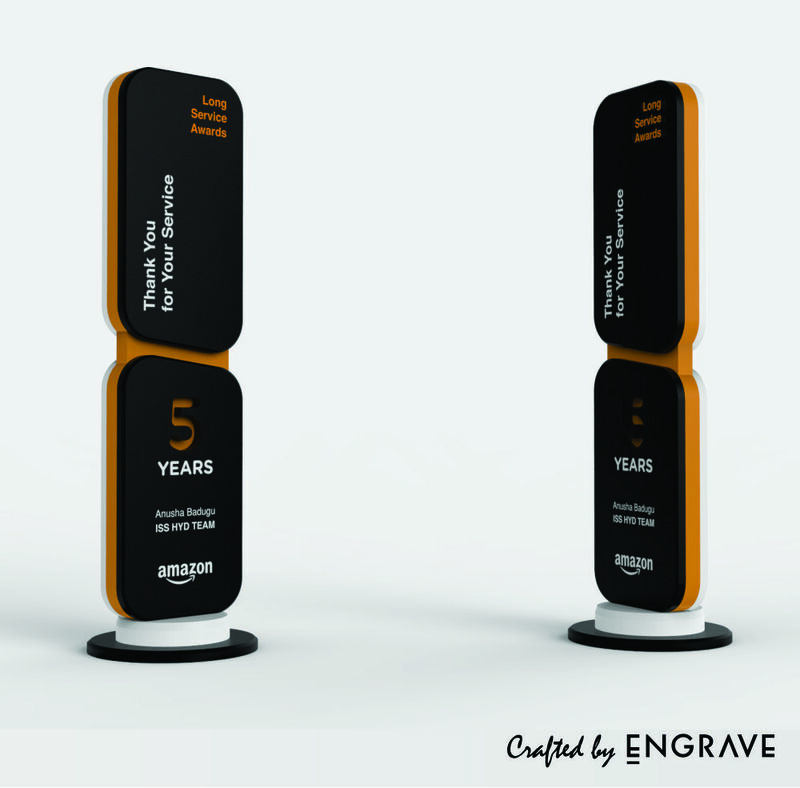 Recently, Amazon was looking to hand out some stunning Long Service Awards, for which they came to us. These were to be awarded at a special gala to employees who completed 5 years in the organization. They asked to conceptualise and design these keepsakes, pack, and have them delivered to Hyderabad in a small matter of two days. Yes, two days. First, we swiftly put our heads together and came up with a standout idea, which Amazon chose from a bunch we presented for their consideration. 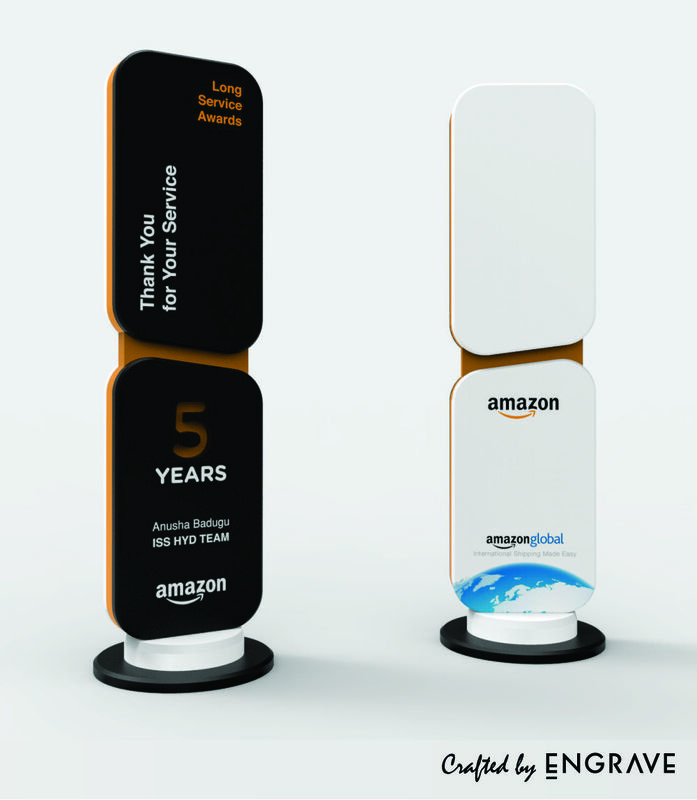 A trophy crafted in three layers of acrylic and Amazon (as in, the colours of brand Amazon - black, orange and white), on which was printed the name of the recipient, the reason for the felicitation, and the brand logo at the back. You are cordially invited to take a closer look at our handiwork in the images attached to this message. That done, we ensured the Amazon received the handsome creations well in time for the event, all of which Amazon appreciated deeply. Thank you.